Welcome back to my Friday post! This week I have a polish from Rainbow Honey that I've been hanging on to for way to log LOL. 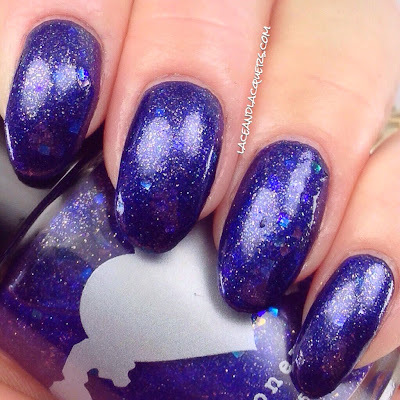 Check out Lumine Hall, a pretty dark blue glitter, down below! Lumine Hall is a "dark indigo jelly glistening with the iridescent glitters and shimmers of your deepest thoughts…" I bought this back it was born, when the Summer of 199X Collection released. Sooo it's been a minute LOL. 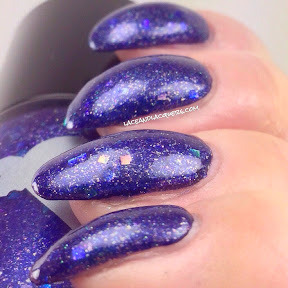 Anyways, this polish is filled with awesome glitters and shimmer in a deep, dark blue base. I meannnnn, look at that macro. 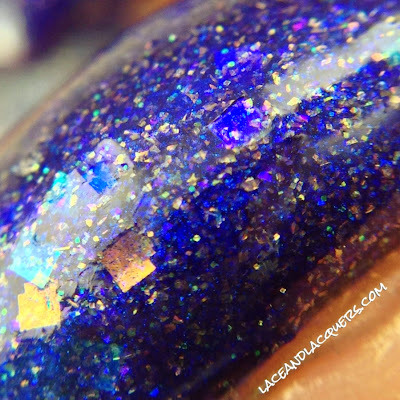 Those tiny gold flakie glitters are awesome. Don't even get me started on those iridescent squares! I bought this myself. Is that good enough for you, Federal Trade Commission?